May is a special month for Design Museum Gent. After the record exhibition Hello, Robot, the museum shut for five weeks so that it could have a celebratory opening of three new floors on 18 May. 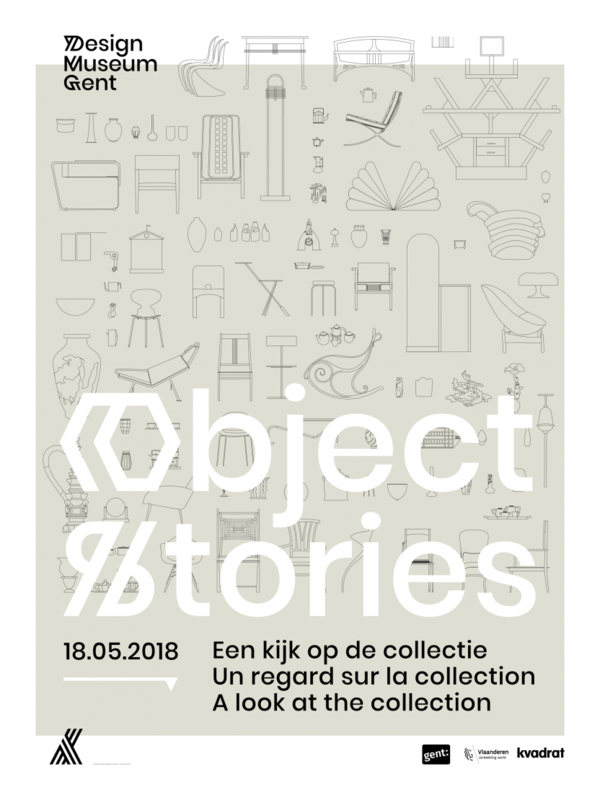 Object Stories is a new, contemporary presentation of the permanent collection and Hide & Seek is the first solo exhibition from Dutch designer Maarten Baas. “In recent years we have worked hard to carve out a unique place for Design Museum Gent in the museum landscape, with exhibitions that have been much engaged with and debated. Three years ago, the classic permanent set-up of our valuable collection was dismantled for the large exhibition Design Derby BE/NL 1815-2015. In the meantime, we worked hard on the collection and showed that in Collection in Progress. With a new team, we are now ready for a new way to present, in an amazing setting created by Doorzon interior architects and FELT architecture & design. In this exhibition, every piece in the collection comes into its own,” explains Katrien Laporte, Director of Design Museum Gent. The collection is back! In Object Stories the museum offers a new perspective on Belgium's biggest design collection. The two hundred objects selected are not in a chronological or thematic order, but attention is drawn to them by the presentation. At the start, visitors choose how they want to experience the exhibition, via one of the five layers of meaning. Each one of the five routes looks at ten pieces in the collection from a particular perspective. They relate objects from the collection to each other and allow visitors to view and experience the objects in various ways. For example, without the commissioners, some of the objects from Commissions & Commissioners would not be there. Each one of the objects in Curiosity has its own peculiarity, which gives rise to discussion. In Making Matters, it is the material or the technique used to create the piece that is central. Responsible Objects shows objects that emerge from their designers' societal commitment. The fifth and last layer of meaning looks at objects through the eyes of a child. The main thing about the new permanent collection is that it is not that permanent, which is good news for the more than 22,000 objects that sit in the museum depot. “Our collection is very diverse: there are glass and silver objects, furniture, and lighting, and we even have a full train carriage. It is industrial design and artistic design, from the fifteenth century until today. The flexible character of the set-up means that we can show much more of the collection: new layers of meaning will mean many changes in the set-up in the coming years. Additionally, in the future we will invite guest curators to create presentations in the central space, with changing collection pieces,” says Evelien Bracke, curator. 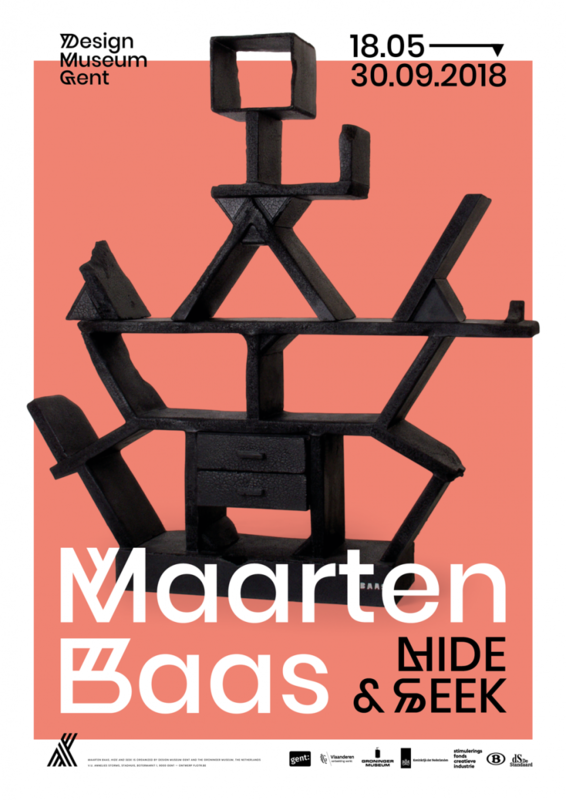 Besides the presentation of its collection, Design Museum Gent is showing Hide & Seek, the first large solo exhibition by Maarten Baas (1978) in Belgium. The exhibition showcases the versatile work of one of the Netherlands' most famous designers. Baas is a rule-breaker who does not follow expectations. Since his graduation, Baas has gone against all traditions and expectations by taking provocative and daring steps. The production was visited by 125,000 people in the Groninger Museum and gives an overview of his most important work in the last 15 years. In 2002, Maarten Baas graduated from the prestigious Design Academy Eindhoven with the series Smoke, in which he burned furniture and then treated it with synthetic resin, so it became useable furniture once more. That was followed by Clay: furniture made by hand from synthetic clay. With the ground-breaking Real Time, Baas put himself definitively on the map. Baas painted hands onto the clocks every minute and then wiped these away. Not only have the exhibition spaces of Design Museum Gent changed, the museum has also had a rebrand. The new visual identity was designed by Ghent agency Pjotr and replaces the old corporate identity, which dates from 2002. Pjotr used the museum’s logo as a basis to develop the new font. The clearer, more flexible and functional structure emphasises the museum’s open and fresh image. Alongside this, the website has been revamped by digital agency The Craft. With this rebranding, the museum is going all out to play a socially conscious role, driven by contemporary technology and with an international perspective.